Kraft Business Systems is a managed IT and business systems and solutions provider in Grand Rapids, MI. We work closely with Kraft to put their website to work. In a highly competitive industry, we work to get the right, qualified traffic to their site and then get them to take the right action. 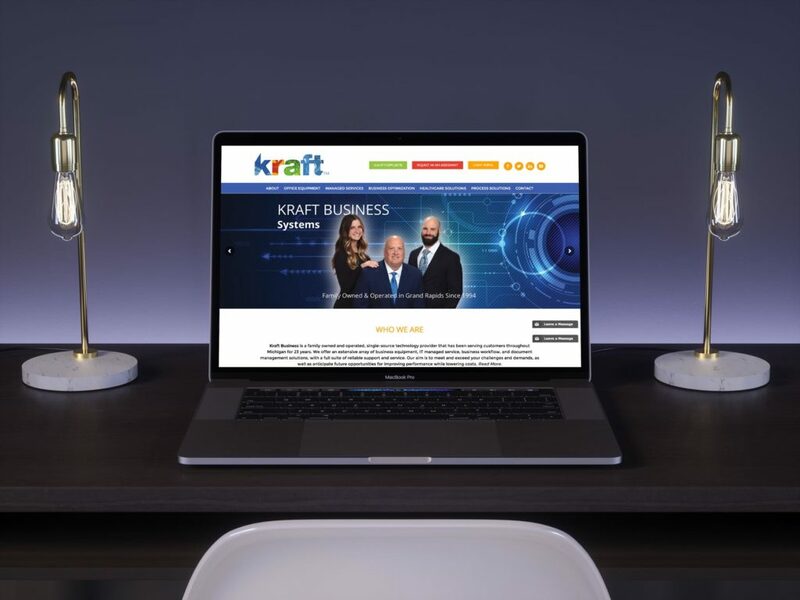 Using a combination of SEO, content marketing, email marketing, we drive traffic to Kraft’s site. Together with Kraft, we develop a series of white-papers, authoritative industry-related documents that are given away to visitors that opt-in for them. Managed IT services is a very competitive industry, from what we’ve learned so far. It changes fast and strategies to obtain new business can be dog-eat-dog. Avalanche works with Kraft to build a long-term strategy that focuses more on the customer and their needs. We help Kraft convey their value to their customer. Our focus is on developing an inbound lead strategy built upon their website. Before we started working with Kraft, their website was old, outdated, and there was no tracking or analytics to prove any ROI from their site. We set up tracking to measure success and continue to work closely with the team at Kraft, developing a content and digital strategy. Once we understood Kraft’s needs and the industry, we put together a marketing technology stack to begin to automate the process of supplying them with high quality, inbound leads generated from their site. With Google Analytics, a Facebook Pixel, intuitive WordPress plugins, and a highly targeted way to capture leads based on industry interest, we have started putting together a strategy that will build upon itself and get better as we continue to measure and learn. We are currently measuring what search queries drive traffic to their site and which terms are the most actionable. We wonder, why and how do people find Kraft and what kind of content will get them to their site?